Cityscape Kuwait, the premier real estate investment and development event in the State of Kuwait, will be opening its doors on December 7 – 9 at the Kuwait International Fairgrounds in Meshref. With less than one month until the opening, the exhibitor numbers have now exceeded 50 exhibitors from the domestic, regional and international markets. Participants are anticipating a premier platform to showcase their latest projects to an audience of investors and real estate professionals, and to network with the industry in a dynamic business environment. Further to bringing the local real estate market to global attention, Cityscape Kuwait will also help develop the Kuwaiti market towards a new era of creativity and development, with a view of positioning Kuwait as a forward-thinking property market on a regional level. Parallel to the Cityscape Kuwait exhibition, the Kuwait Real Estate Summit will be held on 7 – 8 December, and is the key networking event for developers, government officials, investors and financiers shaping the real estate industry to share insight, discuss important issues and network with the industry. Participants at Cityscape Kuwait shared their expectations and revealed exclusive products they will showcase at the exhibition. Ranimah Al Mattar, United Real Estate CO. (URC) Executive Vice President, said that participating in such a reputable and internationally well-known exhibition such as Cityscape Kuwait enables the opportunity to position United Real Estate Company (URC) as a leading real estate developer in the MENA region, especially since it is the first time the exhibition is held in Kuwait. Additionally, it is a platform to showcase URC projects in an arena which hosts real estate companies and professionals as well as end users, potential customers and investors, all in one location. “Real estate is one of the strongest and most competitive sectors in Kuwait, and thus an immense area for discussion of the latest trends, role of government, laws and regulations. Cityscape’s impact lies in the seminars and panel discussions, which will take place, in addition to networking opportunities and a chance to obtain real feedback from visitors”. URC will be showcasing its latest developments in the region which include ‘Aswar Residences’, a 75 unit residential community comprised of three-story villas, in the emerging area of New Cairo in Egypt. ‘Raouche View at 1090’ is URC’s prestigious and private residential building located in Beirut and situated directly across from the famous Raouche rocks. Another development showcased at Cityscape will be ‘Abdali Mall’, a design-led, energy efficient mall, situated in the new downtown district of Abdali in Amman, Jordan. On the other hand, KUWADICO CEO/ Deputy Chairman, Khalil Al Abdullah stressed on Cityscape’s importance in developing the real estate industry, and was keen to participate in the inaugural Cityscape Kuwait event due to the positive experiences from previous events such as Dubai, Abu Dhabi and Cairo. He said: “Cityscape Kuwait provides a unique marketing opportunity. Cityscape is well recognized for its reputation and has become a yearly forum for investors from all around the world as well as for individuals looking for residential products”. Al Abdullah elaborated that at Cityscape Kuwait, KUWADICO will provide visitors with the opportunity to benefit from the last chance of the “payments’ facilities” service. This is related to the potential increase in financial indexes of real estate in Egypt due to the state of the political stability expected post parliamentary elections. He confirmed that KUWADICO offers distinguished and exclusive real estate products, he said: “we have managed to sell all units of Grand Heights/ part one, two and three and will soon accomplish the selling of all of part four and five”. Commenting on this event, Sami Khaled Al Amer, Chairman of Capital Lands Real Estate Development, said: “Our company is one of the pioneers and leading specialists in real estate development and marketing. The company has engaged on strengthening its position by marketing and managing real estate projects and investments with great prices, and leasing services to the owner after the purchase”. Al Amer further emphasized that all units have been completely sold out in Jawharat Salalah 1 and Jawharat Salalah and currently the company is now working on marketing Jawharat Salalah 3 and Jawharat Muscat which will be at Cityscape Kuwait. The company is also marketing other projects in Oman. “Our company provides credit facilities in Istanbul. With future upcoming projects in Turkey: Sapanca villa and in Sharjah; investment units with ownership and promising profits”, he ended. Sameer Abu Shanab, Sr.V.P. & Area Manager of Projacs International Kuwait, Iraq & Jordan said: “Cityscape Kuwait plays a key role in shedding light on real estate leaders in Kuwait. The exhibition is set to have a pioneering role in both developing and supporting the industry”. Abu Shanab added that the company will have new products on display at the exhibition and expects a great turnover due to the golden opportunity the exhibition provides to meet prospects and potential investors from Kuwait and the region. Abu Nefisah elaborated that the Cityscape Kuwait event will be very significant for the State of Kuwait , because it has become customary in Dubai yearly, and to be in Kuwait, this in itself a unique success. At Cityscape Kuwait, Alarjowan Real Estate will showcase current and new real estate projects. Engineer Ibrahm Al Saqabi, CEO of Mazaya Holding said: “At Cityscape Kuwait, the opportunities are extensive. Al Mazaya is one of the Middle East’s leading real estate companies and Cityscape Kuwait is the largest real estate exhibition in the country. Clearly it is an outstanding forum to network with our peers, to ascertain trends in the sector and discuss new innovations. It is also an excellent opportunity to reach our audience, to identify the real estate needs of investors from both the region and from all over the world, and to explore which markets are in demand. Reciprocally, investors can take the opportunity to learn about Al Mazaya’s goals and aspirations, ethos, current developments and future plans”. 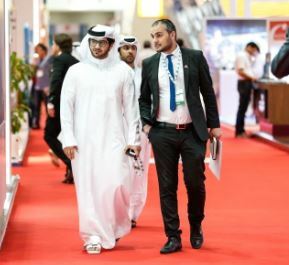 Al Saqabi confirmed that with the industry’s continued resurgence as market conditions improve, it is very possible that exhibitors will project their collective confidence onto investors, providing reassurance about the market’s health and generating excitement about impending opportunities – which would bode very well for the future of real estate in Kuwait over the short and medium run. Al Mazaya is continually working to identify, analyse and evaluate a broad variety of opportunities within the local and regional markets. Future plans will be announced at the appropriate stage, but comprehensive and detailed information about our current developments will be available at our Cityscape exhibition. Al Mazaya is committed to providing the market, shareholders and customers with the best, as well as unique developments and solutions within the real estate sector. That is why we have built a strongly established reputation for thinking big and creating value, all the while growing and maintaining the trust of large-scale investors, both in the Kuwaiti market and abroad. Al Mazaya is planning to showcase in the exhibition the current projects at hand for sale & rent and will shed light on the projects in the pipeline.